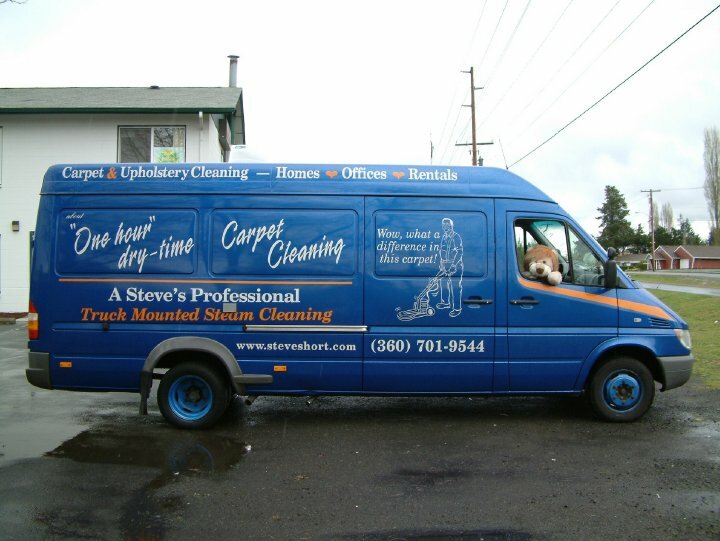 A Steve’s Carpet Cleaning does much more than just your carpets offering upholstery, tile and even RV cleaning. 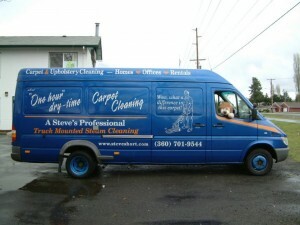 A Steve’s Professional Truck Mounted Cleaning operates in Thurston and Pierce counties. The fully equipped trucks are capable of steaming carpets at up to 250 degrees and then vacuuming away the excess dirt. Over the years Steve, and now his daughter Rachel who has taken over, has built the business on a sense of community and civic pride. A quick call to A Steve’s Carpet Cleaning and you can get a quote over the phone based on your description of the project and the expert, personal knowledge of their team. Quotes are determined by the service needed and severity of the stain or damage.